Mutoh BelgiumMutoh has announced what it terms as an organizational realignment across its EMEA business units. The company explained that the purpose was to strengthen its ‘go-to-market model’, optimize efficiency and performance in its logistics structures and to drive profitable growth. It plans to roll out the new structure in April 2014 whereby the Japanese wide-format printer and cutting plotter manufacturer will unify its EMEA warehousing and logistics activities. 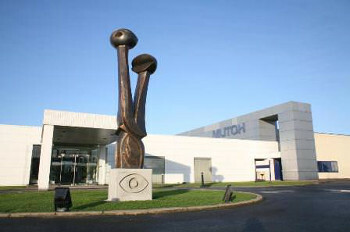 All Mutoh hardware manufactured in Japan, consumables, supplies and spare parts will be warehoused at Mutoh Belgium for direct shipment to all authorised Mutoh resellers across the EMEA business area. Additionally, and in line with Mutoh’s global strategy, all core product marketing, commercial marketing and marketing communication activities for the EMEA territory will at the same time also be centralised at Mutoh Belgium. The individual Mutoh business divisions Mutoh Belgium, Mutoh Deutschland and Mutoh North Europe will remain responsible for all sales, after-sales service, technical service, local marketing and sales support activities in their respective sales territories. “Mutoh’s main objectives with this realignment plan are to optimize our organization’s go-to-market strategy and to strengthen our supply chain and overall customer support activities”, said Arthur Vanhoutte, Mutoh Belgium’s Managing Director. “The plan will provide us opportunities for further optimization of our cost structures, more effective brand building and marketing communication activities whilst at the same time increasing efficiency and effectiveness of all Mutoh business units in Europe. These steps will create a more powerful organization to demonstrate the strength of “One Mutoh” and will lead to a better customer experience”, Vanhoutte concluded.